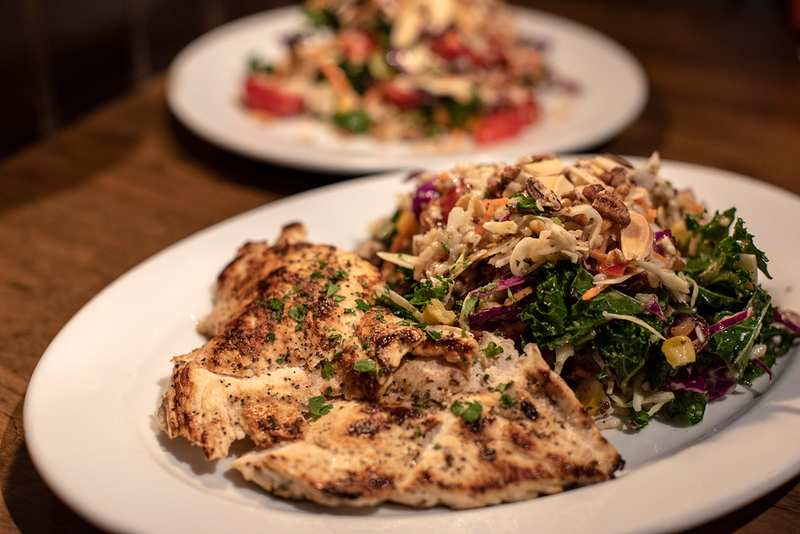 Rusty Bucket has nine central Ohio locations, including our favorite in Clintonville. Having spent significant time in Indiana last year researching a story on the Tenderloin Lovers Trail for USA Today, I was encouraged to see a well-known restaurant in Columbus offering a similar sandwich. So our family paid a visit last week to the Rusty Bucket in Clintonville to see how the tenderloin stacked up. 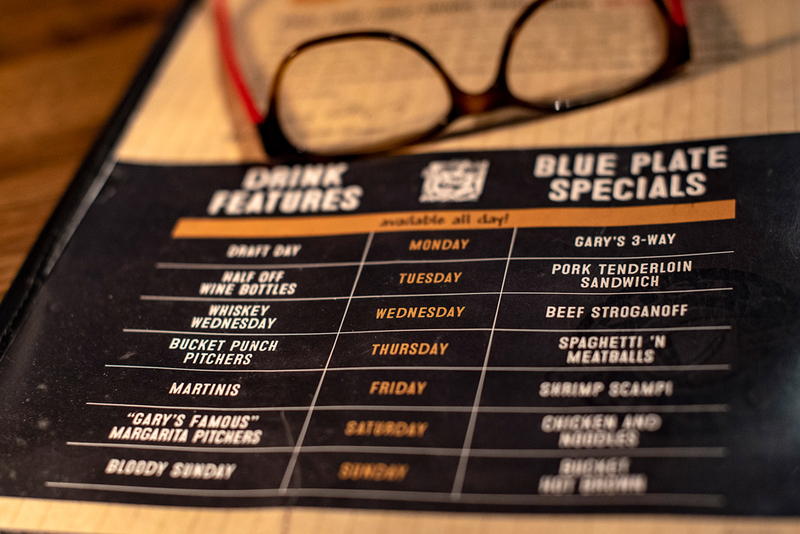 Rusty Bucket’s nine central Ohio locations feature the tenderloin sandwich as the blue plate special on Tuesdays, and we were delighted to see a lot of other specials on the menu. 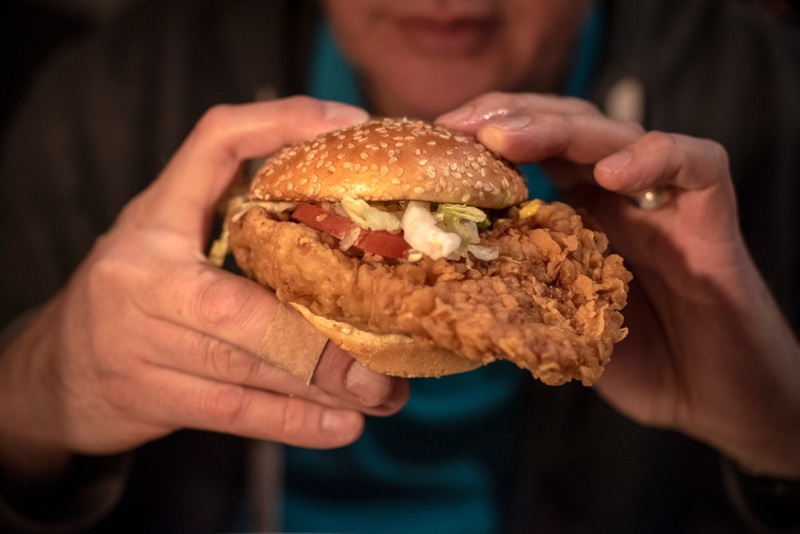 If you’re not familiar with the pork tenderloin sandwich, it’s a well-bred institution in Midwestern states such as Indiana, Illinois and Iowa, where pork production is high. It seems that every restaurant and bar in the Hoosier State offers some sort of tenderloin sandwich. 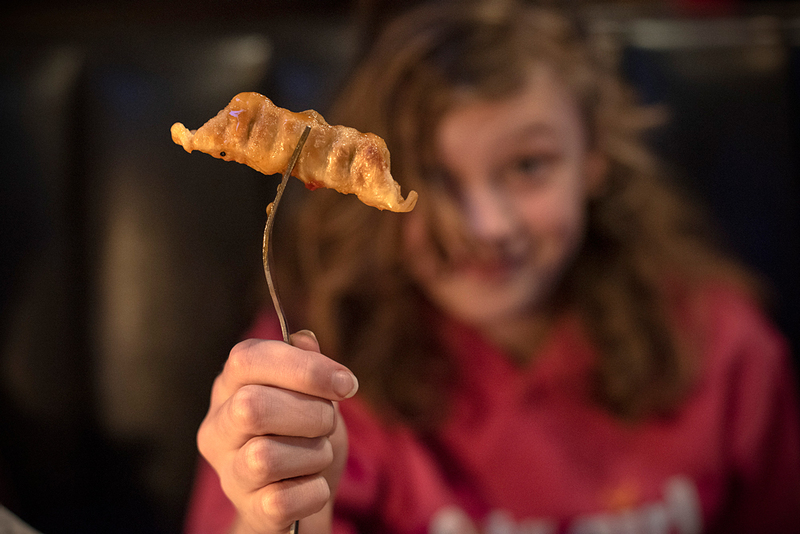 They say it began at Nick’s near Fort Wayne, but now they’re seemingly everywhere. But in Columbus? Not so much. Yellow mustard is a must condiment on a pork tenderloin sandwich. It sounds obvious, but a proper pork tenderloin sandwich should be from the tenderloin, not the pork loin. It should have a crisp bite and be seasoned, but still retain the full pork flavor. It’s typically served with lettuce tomato, pickles and mayo. For some reason people in Indiana also like to plaster them with yellow mustard. So that’s the way I topped mine. 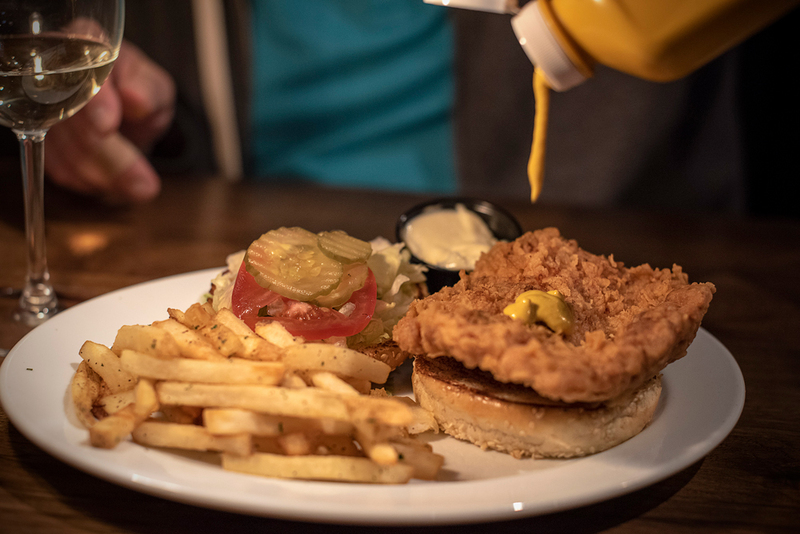 The Rusty Bucket special includes a 5-ounce tenderloin, which is tenderized and pounded flat, breaded and fried, served with fries. It was moist and tasty, and I would say stacks up well flavor-wise to what I experienced in Indiana. It wasn’t nearly as large as some of the sandwiches I found there, however, which sometimes expand beyond the dinner platter only to be barely covered by a ridiculously small bun. We found good deals all over the menu. Rusty Bucket sells appetizers and pizzas at half price from 3-6 p.m. on weekdays, when the “Juicy Lucy” burger is offered at $5. 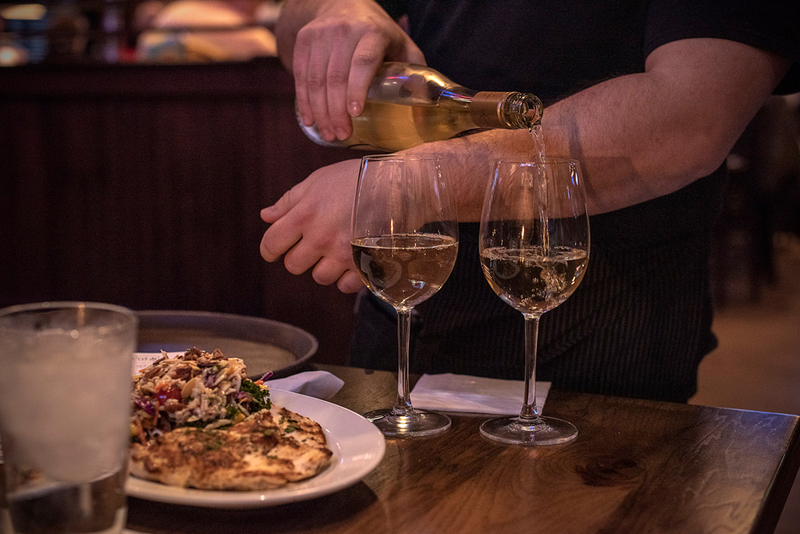 There’s a drink special every day, including half-priced bottles of wine on Tuesdays. The variety is good, since Wendy is a vegetarian. She tore into a harvest salad, while Rosie munched on half-priced potstickers and Max went with tried-and-true chicken fingers. But anytime I want to pretend I’m a Hoosier, I know where to go for the breaded pork sandwich experience. 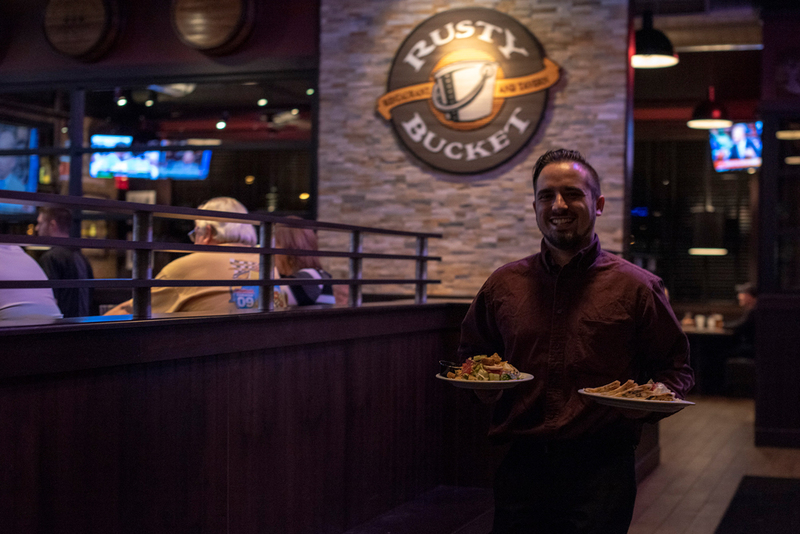 Learn more about Rusty Bucket Restaurant & Tavern. 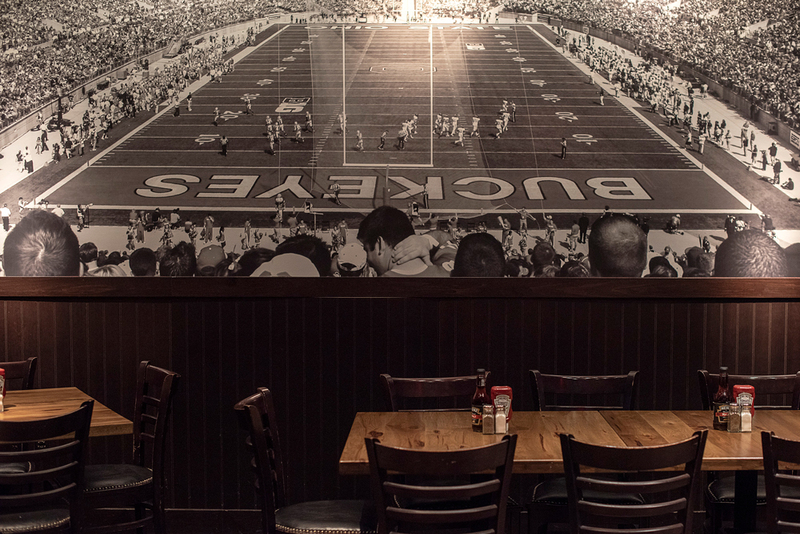 Rusty Bucket shows off its central Ohio roots in its decor. Drink specials include half-priced bottles of wine on Tuesdays. 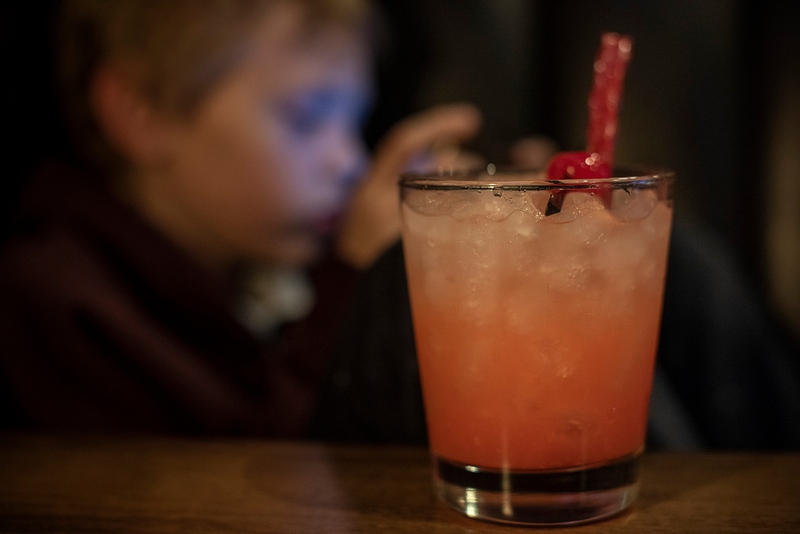 Kids cocktails also are on tap. Get half-priced potstickers during happy hour. 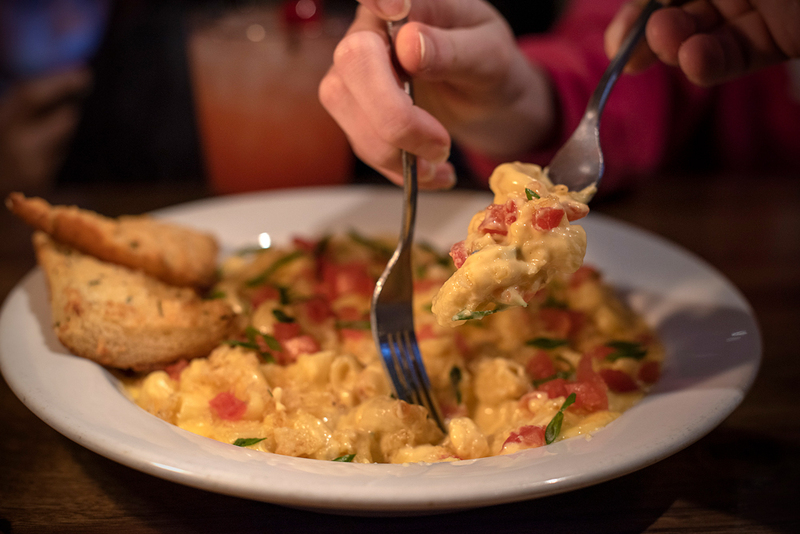 Rusty Bucket’s revamped mac and cheese gets a splash of Blue Moon beer.